Traverse City West Titans beat the Petoskey Northmen in four games during the volleyball match at West High School on Wednesday. 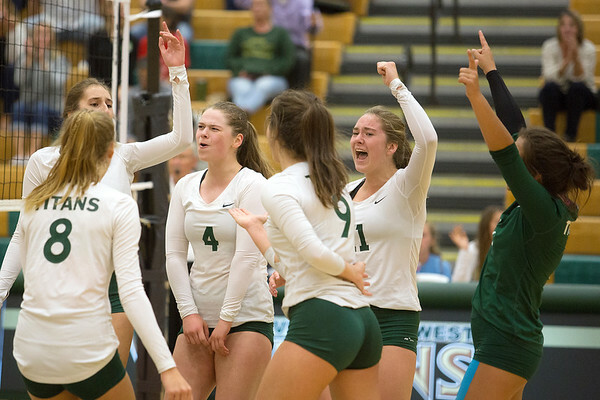 The Traverse City West team celebrates scoring a point during the fourth game of the set against Petoskey at Traverse City West High School on Wednesday. West won the match in four games.